The Volkswagen Original clean solution waste bag really is a clean thing. 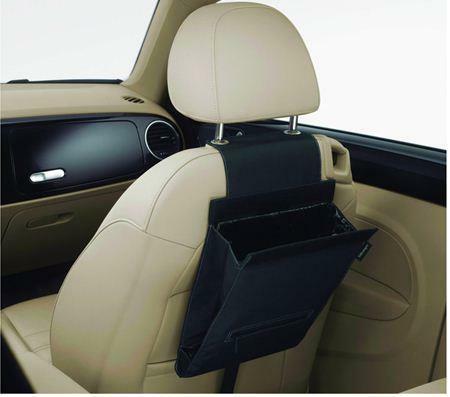 The textile bag easily attaches to the headrest bar of the front seat- and can be removed when not required. The Volkswagen Genuine waste bag clean solution really is a clean thing. The textile bag is simple to fix to the headrest bar of the front seat and easy to remove when not required. The roll of plastic rubbish bags included makes longer trips as well as driving with children more pleasant and the car stays clean. A replacement roll is included in the scope of supply.